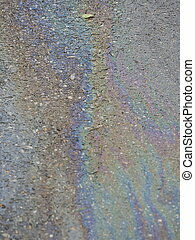 Oil spill on road. 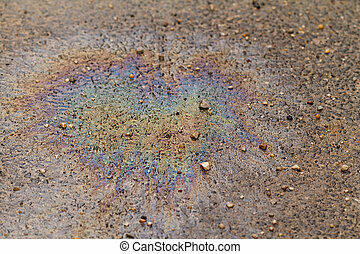 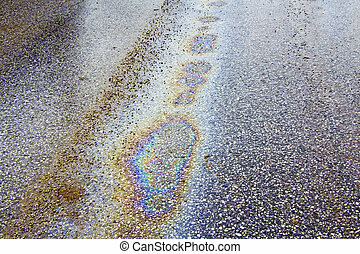 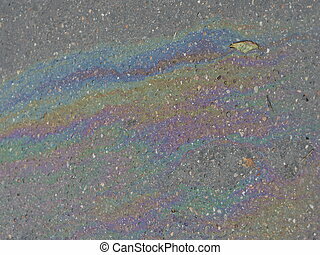 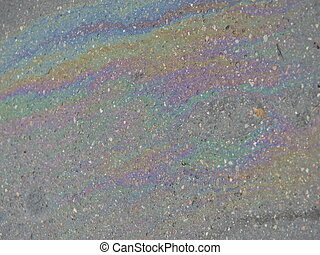 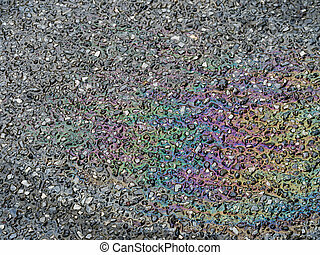 Oil spill on asphalt road. 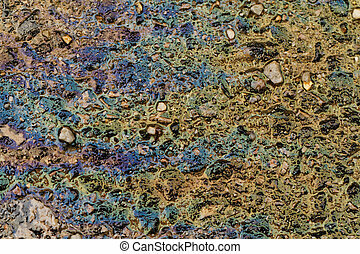 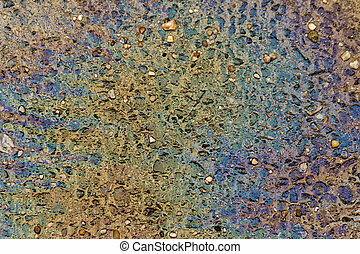 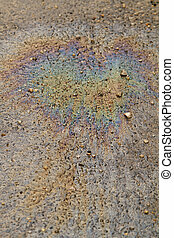 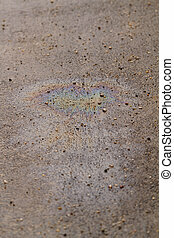 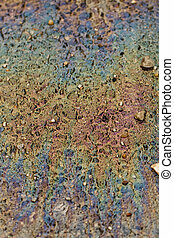 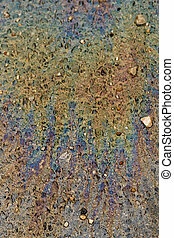 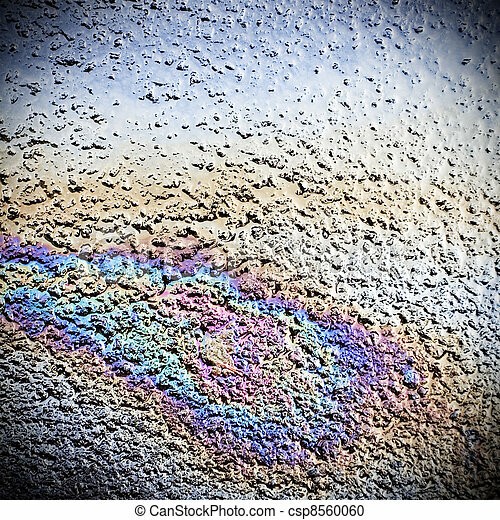 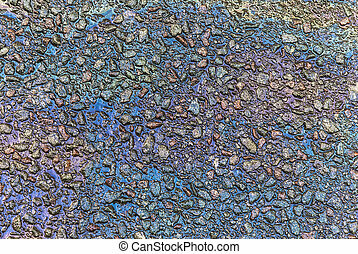 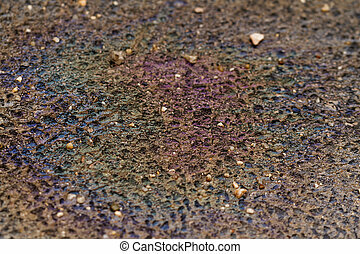 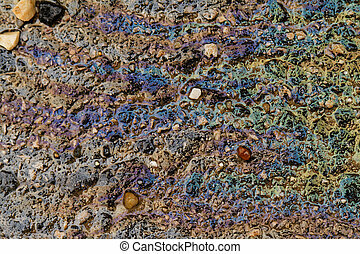 Abstract detail of oil colours on a road surface.